Animals sometimes have a knack for ending up in places they aren't expected — a snake in a toilet, a family of deer once in a gift shop, or a slow loris in someone's shower. Usually it's a shock for whomever finds them there. Except in Australia, where it's apparently no big deal to see kangaroos passing through wherever they please. 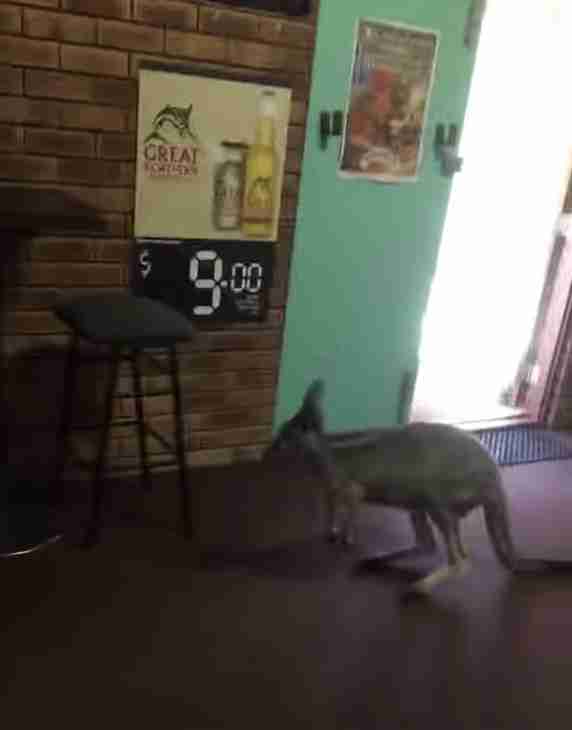 A group of friends were hanging out in a bar last week when they noticed a kangaroo lingering by the door. 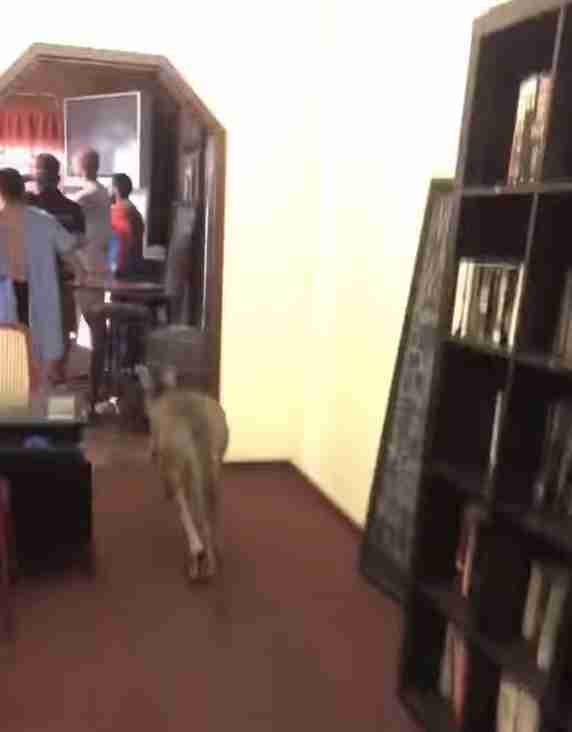 This wasn’t so unusual — until he decided he wanted to check out the bar for himself. 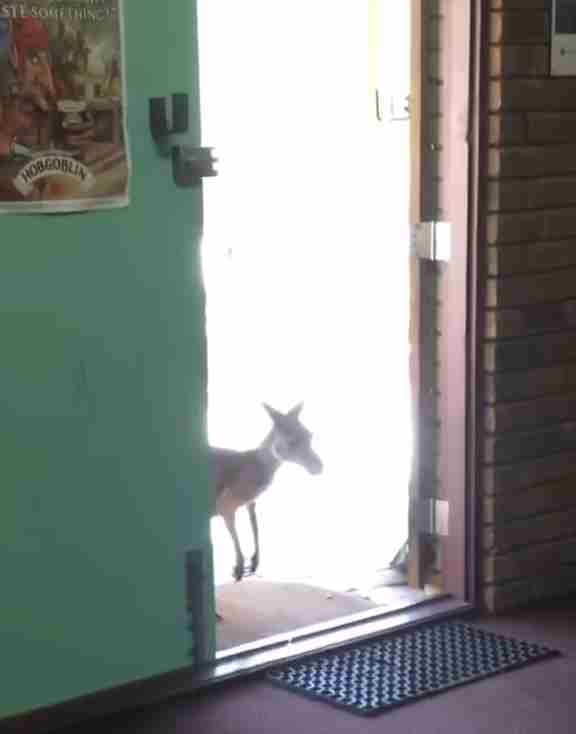 One would think that when a kangaroo suddenly decides to hop through a bar, it would be a big deal and people would take notice — but nobody in the bar seemed even a little bit fazed. … and people barely even noticed. 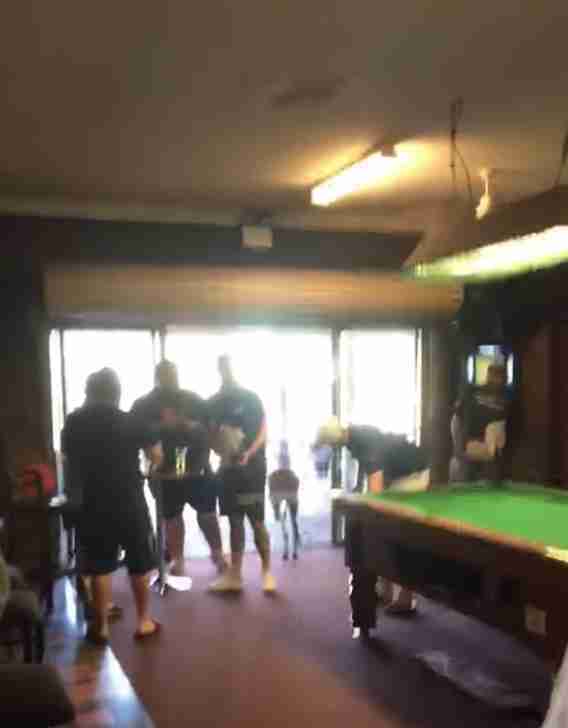 Maybe one or two people glanced over to see what was going on, but for the most part, everyone continued playing pool and ordering drinks, not seeming at all alarmed that there had just been a kangaroo in a bar. And, of course, the kangaroo himself also seemed very unfazed. Apparently in Australia, a kangaroo passing through a bar is nothing to make a fuss about — which, to animal lovers all over the world, probably sounds pretty fantastic. We need more kangaroos visiting bars, please!